In this book the author uncovers the mysteries surrounding the 1971 South Asian war. Using extensive research and through analyses he describes what caused the war, how it was conducted, and how the world powers shaped its outcome. 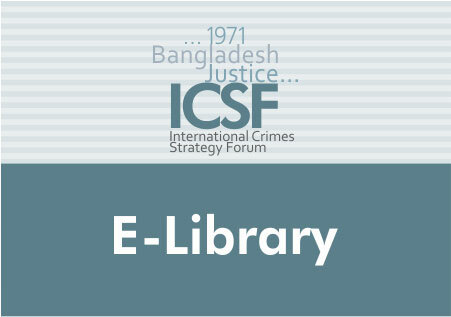 "The recent declassification of US Government archives has provided a rich mine of information on US behavior during the1971 war between India and Pakistan that liberated Bangladesh. B Z Khasru, a US based journalist, has done extensive research of this newly declassified data to bring additional information about the 1971 events. It was Bhutto, not Mujib, who broke Pakistan, says General Yahya Khan in an affidavit issued just before his death. All that Mujib-ur-Rahman wanted was for Bengal to have its fair share of growth, jobs, public purse and foreign aid; and the opportunity to grow through trade with India. Zulfikar Ali Bhutto had a tacit preference to let East Pakistan secede (and leave the West to be governed by Bhutto) than be subject to a weak federation ruled by Bengalis. Bhutto preferred power than Pakistan. Yahya was no angel either. His motivation to conduct elections was the probability of getting to stay in power for a long period of time since his Intelligence officers advised him that the elections might not result in a clear majority and the framing of a new constitution within 120 days after the elections is unlikely. His allusion to Mujib as the future PM of Pakistan was more to scare the politicians in the West and the army to unite. However, Khasru's book is more about how US misplaced its principles and misread the tea leaves."